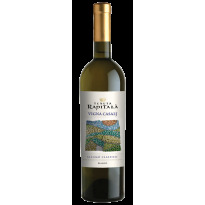 The vineyard: grapes coming from the property’s vineyards, located at 450 metres above sea level. 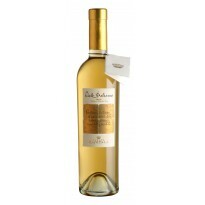 Developed by the most up-to-date means of quality viticulture (5500 plants/hectare) ideal for the clay soil of the zone. The training method is the Guyot, with yields of about 90 quintals/hectare. The vinification: the grapes are picked in just the right state of ripeness (mid-September). This is followed by a cold pre-maceration for three days, before the traditional one, at a controlled temperature of 25°C. This is to encourage a better aromatic extraction and to optimise the extraction of tannins. The ageing: 20% of the wine undergoes malolactic fermentation in once used medium-toasted Allier barriques and, after a few months, is blended with the remaining lot to mature in steel at a controlled temperature for 12 months. 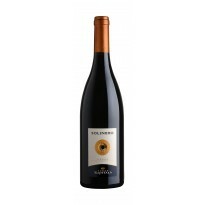 This enables the fragrant character and typical fruit of the Syrah to be kept unchanged. 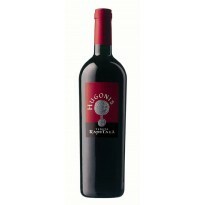 The wine: intense ruby-red colour with damask-violet tints. 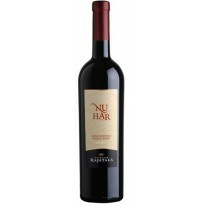 Penetrating bouquet, with touches of ripe fruit and the typical spices of the grape variety, with attractive hints of vanilla. 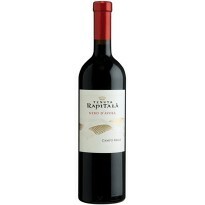 The flavour is full and delicate with soft and elegant tannins. A balanced marriage between the depth of this product and the uniqueness of the wonderful terroir. Analytical details: 13.40% alcohol; 5.10g/l total acidity; 3.70pH; 3g/l residual sugar; 33g/l dry extract. Food matches: red meats, game and roasts.